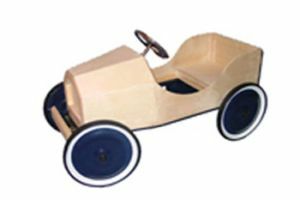 The Rocky Roadster Wood Pedal Car Kit is a unique project that any child is sure to fondly remember throughout his or her lifetime. Consisting of pre-cut quality wood pieces, hardware, and instruction manual, the only things missing are parent and child! So give the gift of memories and special bonding with this amazing toy.